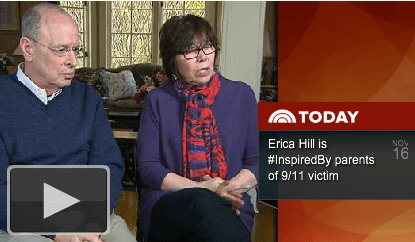 Watch the story of Liz and Steve Alderman, who after losing their son Peter on 9/11, made the decision to turn their tragedy into triumph. They created the Peter C. Alderman Foundation in honor of their son, that operates mental health clinics in post-conflict countries to treat the local traumatized populations. View the video below or click here.